Magzter is about to get a whole lot more popular. If you’re an iPhone user, that’s no problem. All you need to do is sign up for Apple News+ and you’ll get everything you have now as well as some extra stuff. (Though you’ll lose any favorites you’ve marked.) If you’re a Texture user on an Android device, however, the transition isn’t quite so seamless. That’s because there’s no Android version of Apple News+. Unlike the Beats Music transition, Apple has opted to keep Apple News+ an iOS and Mac thing for now. Android users need either to buy an iPhone or get their magazines elsewhere. 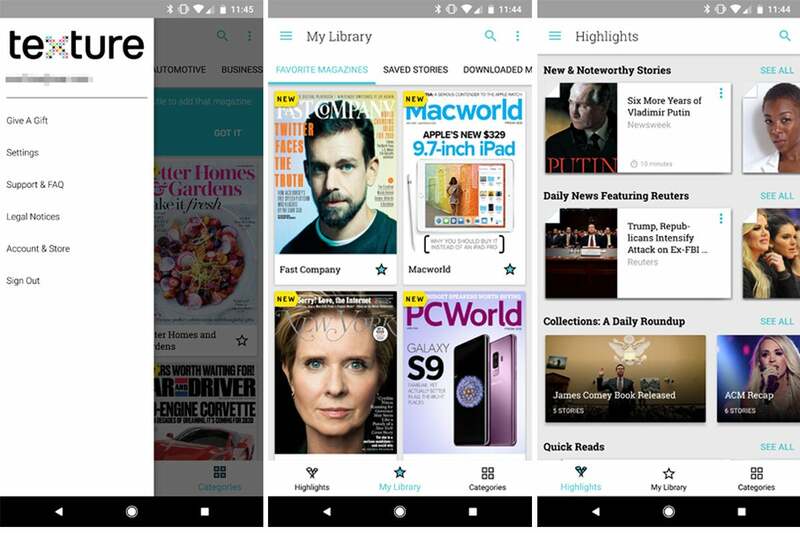 The only other real alternative to Texture in the Play Store is Magzter, a similar subscription service that offers access to some 5,000 “magazines and curated premium articles” for $10 a month or $50 a year. Many of the same titles that Texture offers are available, such as Popular Science, Time, The Atlantic, and, ahem, Macworld, so you’ll likely find your favorites inside. Like Texture, you can try it for a month before committing. But this decision is still likely to rankle Android users. The Texture app on the Play Store had some five million downloads, so it was hardly a niche service. Apple gave no indication it would be shuttering the service until this week. Android users had reason to be hopeful. When Apple bought Beats Music and transformed it into Apple Music, it recognized that there were plenty of subscribers who didn’t use iOS devices. The company made an Android version of Apple Music that it continues to support. In fact, it was most recently updated on March 26 to bring Chromebook support and better music discovery. Apple's also bringing its TV+ video streaming service to non-Apple devices when it launches in the fall. But unless Apple pulls a surprise rabbit out of its hat between now and May 28, Android users should probably get their fill of Texture now.